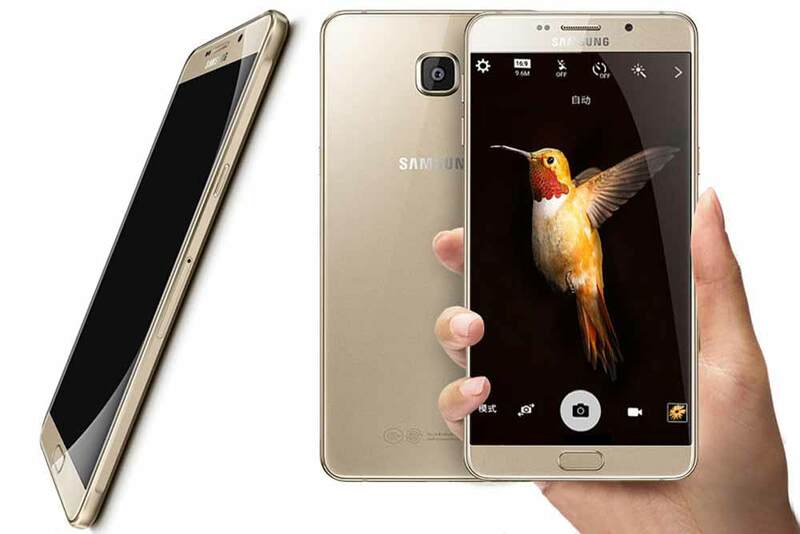 Samsung has launched their latest smartphone, the Samsung Galaxy A9 Pro SM-A9100 (2016). The SM Galaxy A9 Pro A-9100 features a 6.0-inch 1080 x 1920 pixels Super AMOLED display and there is Corning Gorilla Glass 4 protection on the top of it. Overall the specs of the phone are quite impressive. It gets the strength from a 1.8GHz Octa-core processor and 4 GB of RAM. It is accomplished with a 16Megapixel rear shooter which can rec Full HD 1080p videos and 8MP front selfie cam. To make the phone alive there is massive 5000-mAh battery. The Galaxy A9 Pro 2016 SM-A9100Z comes with 32 gigs of internal memory and runs on Android 6.0.1 Marshmallow. It is a DUAL SIM smartphone with 4G LTE connectivity. The specs also includes Optical image stabilization (OIS), NFC (Near field communication), Fingerprint sensor and 4K Ultra HD video playback support. It is 7.9 mm and weighs 210 grams. It will compete with Samsung Galaxy A7 (2016) and Galaxy Note 5. The Samsung Galaxy A9 Pro SM-A9100 (2016) will be available at price of RS 35999 in China. It will be available in Pearl White, Midnight Black, Champagne Gold, Pink colors. There is no info on its launch / release date in India.